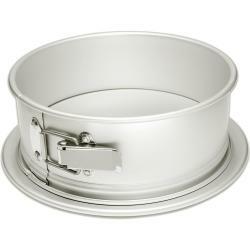 Flour Confections has you covered when it comes to cake and baking pans. 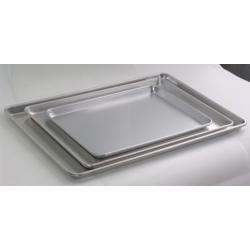 Round, square, rectangle and sheet pans manufactured by Crown Cookware. Bulk/wholesale discount available. 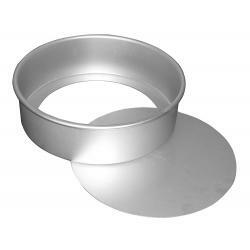 Fluted Tart / Cake Pan, 6" x 1", removable bottom. 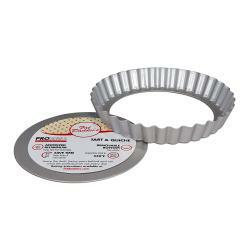 Cheesecake pan removable bottom 7"x3"
Cheesecake pan removable bottom 9"x3"
Cheesecake pan removable bottom 8"x3"
Cheesecake pan removable bottom 6"x3"
Cheesecake pan removable bottom 5"x3"
Cheesecake pan removable bottom 4"x3"
Cheesecake pan removable bottom 10"x3"
Bread Pan - 7 3/4" x 3 3/4" x 2"